Cord/Cordless trimmer with lithium-ion technology, 2 hour cordless run time. Perfect for light trimming, touch ups, and detail work. Lightweight, quiet and sleek ergonomic design contoured to fit the hand. Includes #40 blade, charger, blade combs, and oil. more freedom to groom anywhere. 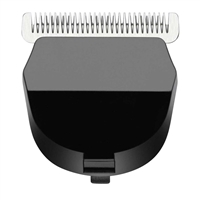 Andis Cordless Easy Clip Li Clippers. This cordless clipper features 5 cutting lengths in 1 removable blade - adjustable from 40-9. Perfect for trimming and touch-ups. The lithium-ion battery delivers over 2 hours of run time and charges in 90 minutes. Cord/cordless feature allows for uninteruppted trimming.